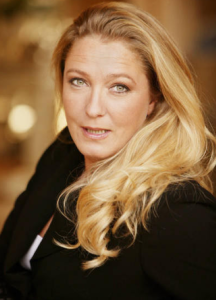 Marine Le Pen proposes to go back to the Franc. This is rather ironical for a nationalist, as the Euro, a French invention, extends French power. However, as it is, in the present international context, the Euro is not functioning optimally, and indeed, seriously hindering the French Republic. Nevertheless, I will demolish the stale anti-Euro arguments imagined by servants of the USA’s plutocratic order, the ones Le Pen is following like a bleating sheep. There is a glaring problem with the Euro, indeed, but not the one talked about by those who dislike the Euro. And that problem has an obvious remedy (long found by the USA), a change in the mandate of the European Central Bank. In a nutshell, the Euro was conceived as a top down mechanism to force one more unification device inside Europe. The idea is to create problems which only further European unification can solve. The Euro is functioning correctly that way, albeit too slowly. And no wonder: at this point, European finance is led by an ex-partner at Goldman Sachs, a Wall Street bank, under the mandate of making the Euro a store of value (even if kills the European economy). That has to be changed. Along… American lines. Those who don’t understand the map above, should not talk about the Euro. As we will see, though, they do talk about the Euro, while not minding whether, or not,France and Germany were actually part of the same polity, for half a millennium. Those who don’t know European history, including hordes of American pseudo-intellectuals, can only talk foolishly about the Euro. That’s the whole idea: they are supposed to make us all stupid. Once we are stupid enough, we will be eager to serve them, or so they have observed. That despicable horde of greedy disinformers and impudent liars includes one of the leading (diminutive) bulls, Milton Friedman, bullying his way into a thicket of absurdities which he himself erected. Friedman learned nothing, absolutely nothing, from the Second World War. That, too, is no accident. It’s a disease frequently found in American Jews. It’s not just the usual francophobia. There is a much more sinister mechanism at work. American Jews are supposed to know nothing much about the Second World War, except there was a big bad “The Holocaust”, and, somehow, the French were involved. Why so ignorant? Preservation of their own Jewish sanity. If American Jews knew more of the history of the Second World War, they would have to explain why they did nothing, while their brethren and relatives were mass assassinated in Europe. In particular, American Jews would have to explain why they did nothing, while racist American plutocrats were totally, massively supporting and enabling Hitler and Mussolini. Where was Friedman then? Well, he was employed by Roosevelt’s National Resources Committee (on which he more or less spit later, naturally). Fortunately the Nazis and their enemies, the French, did learn from WWII what had to be learned. And what they learned, is that they had to unify. Whereas, it is telling that people who allegedly claim to care about holocausts in Europe, want to divide Europe some more, when it is precisely those divisions which caused the holocausts. The basic flaw of Eastern Europe, where most American Jews are from, is that a divided, divisive, grotesque patchwork of little authorities at each other’s throats, some of this nation, some from another, some from one religion, some from one other, some from a language, or sect, some from another language, or sect. The Roman empire’s border inside Germany, anchored on the Rhine and Danube, was too long, too fractal, hard to defend. The one and only solution was to conquer all of Europe (and make a short border across the European peninsula). The only Roman who decided to do this, Julius Caesar, was assassinated on the eve of his departure at the head of the most formidable army Rome ever had. After that unfortunate event, the assassination of the leader of the Populares, Roman plutocracy took over enough to impose its agenda. Roman plutocracy was more interested to exploit the Roman people, rather than to call on the Republican spirit to make Rome safer, and more sustainable. Actually, the history of the next five centuries of Rome showed that Roman plutocracy preferred to be invaded by barbarians, rather than to call back the Roman Republic (analogies with what is going on today, are invited). In the end, it was the Franks who brought back enough Roman republican elements to progress beyond Greco-Roman civilization, and, later, thoroughly destroy the invading Islamists (once again, comparisons with today jump to mind). However, the Franks turned Augustus’ strategy on its head. As soon as it succeeded the first Roman State, the Second Foundation of the Roman State, the empire of the Franks, threw overboard Augustus’ stupid advice, to leave Germania alone. The Franks relentlessly pursued the conquest of all of Germany, and more. It took three centuries. Charlemagne, Carlus Magnus, finished the job. The preceding map of Europe is not understood by despicable people such as Milton Friedman and his ilk, who are paid not to meditate upon it (supposing they ever came across it). Friedman is paid to entertain the idea that Germany is bad for France. Low intellectual lives such as Friedman typically don’t know that, under the Franks, freedom of cult was extended to all those who did not have a Cult of Death (thus the safe Sufi practice of Islam was tolerated). 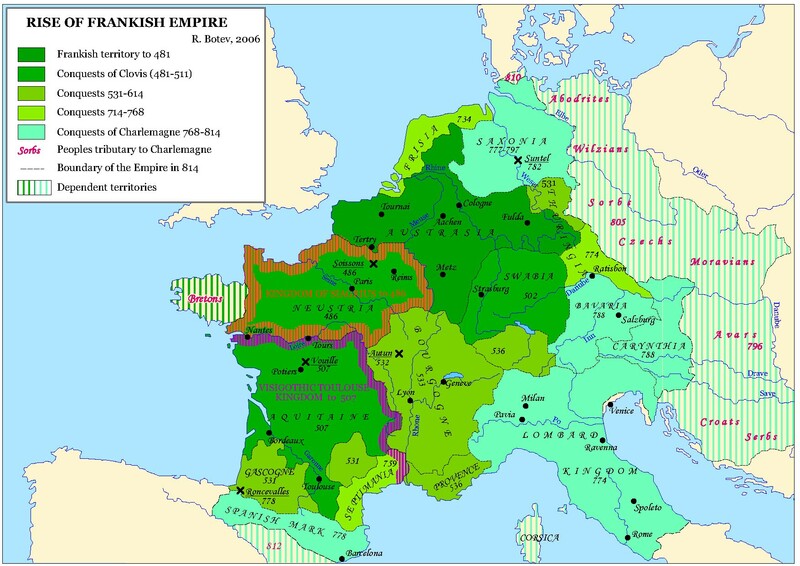 They don’t know that the Franks three times, earlier than Charlemagne, broke three massive Islamist, Cult of Death invasions, and that the Damascus Arab Caliphate fell consequently, having lost its armies (750 CE). They know nothing, these haters of Europe, and still they talk, exuding their venom, because they are paid to do so: it helps the American empire and its overlord, global plutocracy, to tell the world and themselves that the Europeans are self-destructive idiots. At this point the Friedman-Krugman venom is feeding Marine Le Pen (who has opportunistically jumped on it; as a Member of the European Parliament, she probably knows better; in any case she could only hope to implement her program if she had an absolute majority at the French National Assembly). The Romans ran out of precious metals in the Third Century: using the technology they had, the mines were exhausted. By 300 CE, Rome, under emperors Aurelian and then Diocletian, had switched to a complicated mix of Fiat Currency and command economy. As the state, weakened by plutocracy, was not strong enough, the Roman Fiat Currency suffered inflation (although the Roman gold currency would not, and was used for another millennium). China had the same problem, lack of precious metals and invented the ultimate Fiat Currency, paper money, in the Seventh Century to circumvent it (Bolivian silver traded by Spain would solve the Chinese problem nearly a millennium later). The Franks solved the argentum/argent problem the old fashion way: they did what the Romans did not find the force to do. The Franks conquered Eastern Europe, where the silver mines were. Suddenly, there was enough money to operate the economy again, and, by 1000 CE, the Franks were the richest per person and per unit of energy (my AWE), in the world (contrarily to what the “China-on-top” school of thought has it). Or When Nationalism Is Better Than The Alternative. The Danes self define as the happiest people in the world: sometimes it seems the government chew their food for them (the Danish tax rate goes up to 80%). Danes are worried “Brussels” will put an end to that. Whatever that is. In truth, alien foreigners have exhausted their welcome. On May 25, 2014, 27% voted for the nationalist anti-European far right. That’s the same score as Marine Le Pen got in France. What’s going on? Well, each time extremism rises, it’s because there are very good reasons for this to happen. Clearly the status quo ante is unacceptable in Europe. Something I have said myself for years. And not just in Europe. A revolution is needed, and fast. More and more of We The People are arriving at the same conclusion. That’s good and necessary. I still am an extreme internationalist. For me, for decades, nationalism was the definition of hatred and war. I was also against imperialism. I was once personally attacked by hyper nationalistic fascists, with lethal force (an IED). Apparently, they saw my broad minded considerations as an existential threat. Nationalists tend to be mentally fragile. Meanwhile I discovered that being against blue sky meant preferring the blackness of space. To my dismay, having a high minded internationalist mien is an invitation to victimization. It’s quite a bit related to the attitude of the Jews vis a vis Hitler in the 1930s: it’s not because you turn the other cheek, each time it gets slapped, that morality, let alone survival, progresses. Instead, the pacifist sheep will get a concussion, and finish in the incinerator. Ukraine, of course, is an example when nationalism is turning into a good force. Only nationalism is strong enough to resist the traditional dictatorial instincts of the Kremlin. Better plenty of nationalism, than morbidity below a crazed autocrat’s boot. In France the national Front just won the European election, becoming, on this occasion, France’s first party. It’s a victory for Marine Le Pen’s strategy over her dad’s grumpy style. One would guess that I am horrified, as I am as progressive as they come. But not so. Instead I am amused: progress is not always where it’s supposed to be. Sometimes, progress takes a circuitous route. 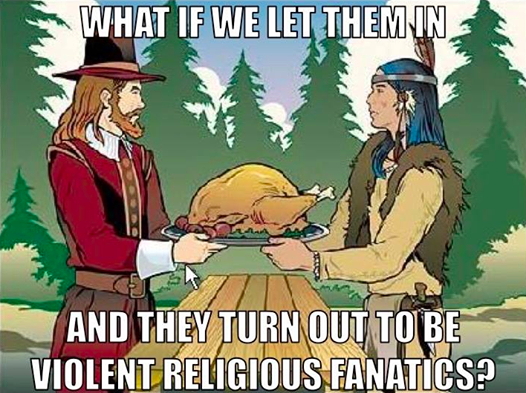 It’s because plutocratic Rome collapsed that the Franks could take over, and legislate a much more advanced civilization: much fewer death penalties, no more slavery, total religious freedom (after more than a century of religious terror). If plutocratic Rome had not collapsed, the barbarity of Greco-Roman civilization would have persevered. Only a radical reboot, the one the Franks imposed, could relaunched Western civilization in a sustainable form. Another example is the occupation of France by the Nazis: it actually civilized the Nazis to the point that collaboration with France was forced onto Hitler by his colleagues to the point the Nazi dictator had to agree to it, although he argued that would make France win the war (as France’s industry was supposed to fabricate daily necessities, while Germany concentrated on weapons). The end result is that France and Germany started to unify in 1948, something that certainly would not have happened if France had not declared war to Germany in 1939. War is also a debate. In 2012, I saw a debate between Marine Le Pen, and the top French economy pundit. Marine Le Pen described basically how the fractional reserve system worked, and intoned that this was completely wrong. However, the cocksure pundit excoriated her, with conventional wisdom. He claimed she understood nothing, had no knowledge of finance whatsoever. A week later, the same pundit debated economics with Melanchon, head of the leftist opposition to the Socialist Parti, the Front de Gauche. Melanchon told the pundit he had been wrong, and Marine Le Pen was right. On a related subject, Marine Le Pen has been very loud and clear that the Euro was too high. That, too, is correct. The high Euro has been killing the part of French industry that makes mass items (whereas Italy, Switzerland and Germany long focused on higher end products). It’s of course worse for many other Euro countries. Many European countries have been de-industrializing. It’s not because people there are dumb and lazy. Far from it. In truth Europe invents much, and other exploits those inventions. Well, Europe is open to the world economically, a bit as Athens was. and Pericles beautifully boasted in his famous funeral oraison. However openness is not everything: Athens was defeated and democracy came back, under the attenuated form of representative democracy, only 23 centuries later. European intellectuals themselves have excoriated Europe, as if it were the source of all evils. Confusing the Nazis and their enemies the French is a case in point, chronic in the enslaved USA. And yet, what is the truth? The rest of the world has not played nice with Europe. Take an outrageous example. European governments have been buying from the USA. The converse, though, is forbidden by American law (except under special circumstances). The conspiracy against Europe is deep and wide. Corrupt American industrialists, working hand in hand with the government of the USA and corrupt leaders overseas (example of such corruptocrats would be Major, Schroeder, and Blair) conspired to impose a war plane, the F35. The F35 is the world’s worst plane: it has no better performance than the F105 “Thunderchief”, a 50 year old plane that failed in the Vietnam war. The F35 can’t go fast, it can’t carry much, it can’t accelerate more than 4 gs (the Rafale does 10gs), and, although labelled a “stealth” plane, it is fully visible to Russian and Chinese VHF radar. It’s also the most expensive military program ever: half a trillion dollars, and counting. That turkey prevents the furthering of a European superiority fighter, although Airbus‘ Typhoon/Eurofighter and Dassault fighters are known to be the world’s two best fighter bombers (they both take out the American superiority fighter, the F22 Raptor). So hundreds of thousands high tech defense jobs are going to the USA, instead of Europe, on that project alone. Just because European politicians have been on the take. At least, nationalism would stop such an absurdity. To stop all this non sense, some nationalism is needed. Some will say, as some French philosophers did, that Europe is dead, long live the world. Yet, it’s not so simple: as I explained, both North America and Russia have been founded on maximally exploitative philosophies, which have triumphed. Europe’s sustainable philosophy has taken a beating, and the weaker Europe gets, the more of beating sustainability gets. So this is not just about Europe, it’s about sustainability and diversity. Out of 750 European MPs, around 140 are Europhobes. The Danes and the British UKIP despise Marine Le Pen. Yet, if they want to have any influence in the European Parliament, the Europhobes will have to find common grounds, thus valuable complaints. The force of democracy is the wealth of viewpoints it brings. And never forget that democracy without force is nothing. A six year old British boy was found drowned and unconscious at the bottom of a pool of the giant “Royal Caribbean” ship “Independence of the Seas”. Well, there is no independence, even on the high seas. Even for a British boy, whatever the UKIP feels like bellowing about. A French helicopter flew across the ocean, and picked up the unconscious boy to provide him with state of the art treatment (top French hospitals use methods akin to hibernation, as was done with Michael Schumacher). It’s a small world, and in a small world there are no borders, only limits beyond which outrage turns to violence. And the worst is, that some of this violence is necessary, and the more necessary, the more violent it will become. Europe, and the world, has to march ahead, or die by the wayside.